Anna Katharina Emmerick (or Anne Catherine Emmerich in English) was born on September 8, 1774 at Flamske, Westphalia, West Germany, to a small farming family. 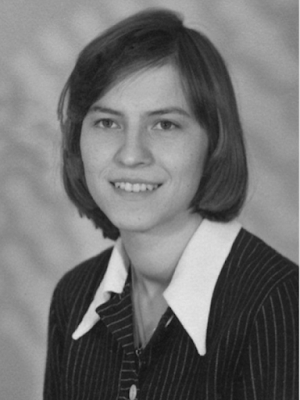 Her parents, Bernard Emmerich and Anne Hiller, were poor peasants, but very devout and pious. Anne Catherine was baptized at the St. James Church at Coesfeld. As a child, she spent alot of her time as a maid and seamstress until her entrance into the Augustinian Order on November 13, 1803. At age 29 she joined the Convent of Agnetenberg at Dulmen, Westphalia. Even during these youthful years, Anne was extraordinarily gifted with ecstasies and visions of Christ, the Blessed Virgin Mary, her guardian angel, and many of the saints. Although never given an adequate education, Anne had perfect recollection of her childhood days, and she seemed to understand Latin beginning in her very early years. 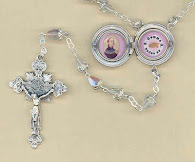 Almost from infancy Anne reportedly had the gifts of discerning holy from unholy objects, consecrated objects or locations, and the identification of relics and from which saints they came. Also during these early years, Anne was often seen making the entire Way of the Cross in her bare feet, even when the snow had covered the ground. 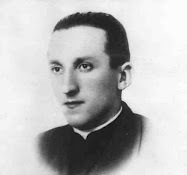 "About four years prior to my admittance into the convent, that is in 1798, it happened that I was in the Jesuits' Church at Coesfeld, at about twelve noon, kneeling before a crucifix and absorbed in meditation, when all on a sudden I felt a strong but pleasant heat in my head, and I saw my Divine Spouse, under the form of a young man clothed with light, come towards me from the altar, where the Blessed Sacrament was preserved in the tabernacle. In 1811, Anne was forced to leave her convent along with all the sisters when King Jerome Bonaparte closed all of the Religious houses during his reign. Four years before the suppression of her convent, Anne made a visit home with her family in Flamske. One day while she was kneeling and praying for hours before the Cross of the Church of St. Lambert at Coesfeld, Anne had asked our Lord for a share in His Passion as a sacrifice for the sake of her convent. From that time on, she began experiencing terrible pains in her hands, feet and side, an indication that God had given her the invisible stigmata. On August 28,1812 (the Feast of St. Augustine), Jesus appeared to her in a vision and imprinted a cross-shaped wound on her breast directly above the heart. 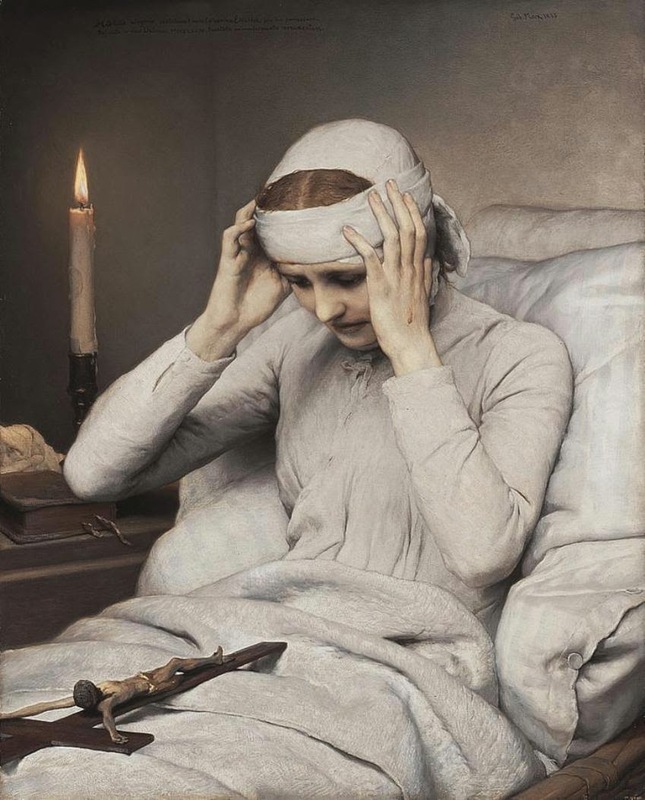 Later that same year, specifically on the 29th December 1812, at about 3pm she was lying on her bed in her little room, extremely ill, but in a state of ecstasy and with her arms extended, meditating on the sufferings of her Lord, and beseeching him to allow her to suffer with him. She said five Our Fathers in honour of the Five Wounds, and felt her whole heart burning with love. She then saw a light descending towards her, and distinguished in the midst of it the resplendent form of her crucified Saviour, whose wounds shone like so many furnaces of light. Her heart was overflowing with joy and sorrow, and, at the sight of the sacred wounds, her desire to suffer with her Lord became intensely violent. Then triple rays, pointed like arrows, of the colour of blood, darted forth from the hands, feet, and side of Jesus, and struck her hands, feet, and right side. In 1813, Anne was examined by a group of both medical and Church authorities; an inquiry which lasted for five months. The examiners found Anne to be mentally sound, and they could not find any medical or temporal explanation for the wounds of the stigmata. From the moment she received the Sacred Wounds until her death, Anne Catherine Emmerich took no solid food, existing only on the Sacred Host. In fact, when she would try to eat or drink she would have a severe reaction and would vomit violently when attempting to consume food, even broth. 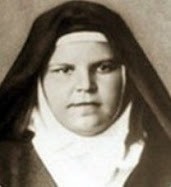 She was however able to consume the Holy Eucharist and her diet consisted only of the Eucharist. In 1819 she was once again investigated by high-ranking secular authorities. She was taken away from all of her acquaintances and moved to a house in the country belonging to one of the authorities. They referred to her as 'The Imposter'. She was locked up for three weeks with the authorities watching her 24x7 in 6 hour shifts. 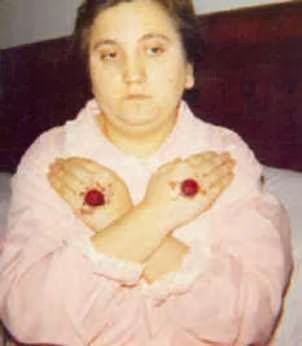 Much to the aggravation of her captors, she still consumed no food and bled through her Stigmata even though she prayed not to bleed so they would release her. After three weeks, she was finally sent back to her home in Dulmen by her frustrated captors. Two of them became very sympathetic to her cause. 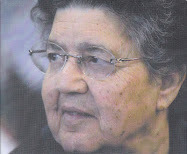 During her last few years, she did not sleep at all, a miracle in itself according to the testimonies of many doctors. 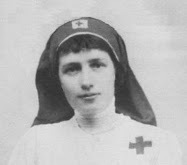 She was given shelter by various charitable people in the area, and was bedridden for the rest of her life. 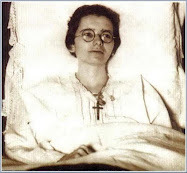 God had chosen this gifted soul to become His victim, and she voluntarily suffered and sacrificed as a means of atonement and expiation for the souls that were living in sin. 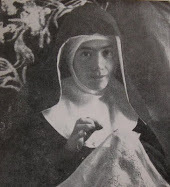 Because of the great trouble caused by her visible stigmata, Anne implored our Lord to remove them, a prayer which was granted - at least partially - starting in 1819. Over the next seven years, her wounds became less visible until finally they disappeared, except for on special occasions or particular feast days of the Church calendar. They would reappear and continue to bleed, however, during each Lenten season, particularly on Good Fridays. 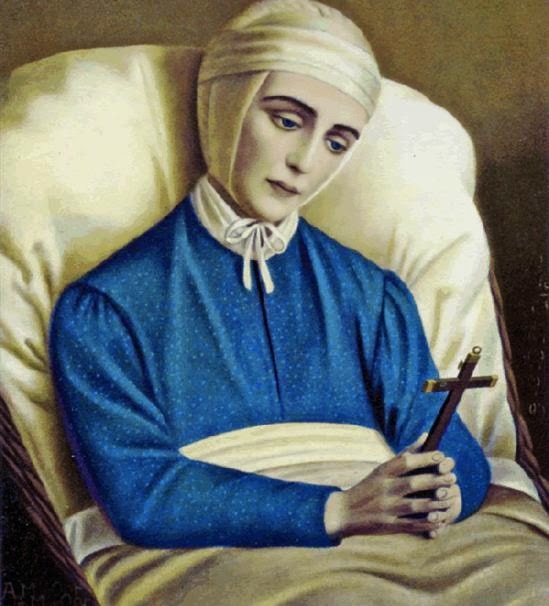 There were other occasions when Anne Catherine Emmerich's wounds would manifest and bleed severely, including some Holy Thursdays and a few Fridays outside of Lent. Yet she was never without the stigmata, for the rest of the time they were invisible but equally as painful. It is though that the most extraordinary gift that Anne possessed was that of her extraordinary visions, also known as ecstasies. She was given visions of almost the entire life of Jesus, and most of the life of the Blessed Virgin Mary also. These private revelations of Jesus and Mary’s life included the most intimate details and can be considered a complete vision of the Gospel story. The visions of the life of Jesus as witnessed by Anne Catherine are compiled and published in the popular book “The Dolorous Passion of Our Lord Jesus Christ” which many view as a true treasure, and her visions of Mary are published under the title “The Life of the Blessed Virgin Mary- From The Visions Of Blessed Anne Catherine Emmerich”. Other visions of Anne Catherine Emmerich include those of Heaven, Hell, Purgatory along with intimate details in the lives of many Saints. 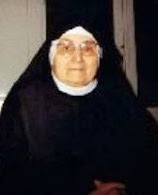 Many of these Saints she conversed with, and she often witnessed events in their lives as if she were right there beside them. The list is truly impressive so only some of their names will be mentioned here: Jesus, the Blessed Virgin Mary, her own guardian angel, St. Agnes, St. Agatha, St. Emerentiana, St. Paula, St. Dorothea, St. Apollonia, St. Benedict, St. Scholastica, St. Paschal, St. Cyprian, St. Isidore, St. Stephen, St. Lawrence, St. Nicodemus, St.Clare, St. Thomas Aquinas, St. Perpetua, St. Felicity, St. Justina, St. Denis, St. Ursula, St. Hubert, St. Gertrude, St. Cecilia, St. Catherine of Siena, St. Augustine, St. Francis de Sales, and St. Jane Frances de Chantal. And this is far from being a complete list. In addition to all of this, she also received many prophecies about future events. Many of these revelations have come true, sometimes with remarkable accuracy. 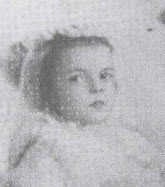 Anne Catherine Emmerich was favored since her childhood with the guidance and protection of her guardian angel. God allowed her to entrust her will to this angelic creature, who in turn enlightened her to God's designs upon her soul. Anne even revealed that her angel often took her to various places during her ecstastic moments, throughout all of Europe and even to the Holy Land. Often too, this favored soul would communicate with the poor souls in Purgatory via the guidance of her angel, who led her safely through this place of purification in order that she might visit those who implored her aid. In turn, Anne would pray and suffer in order to help free them from their pain and to help gain their entrance into the heavenly kingdom. "The angel calls me and I follow him to various places. He takes me to people I know or who are complete strangers. We cross the sea as quickly as thought travels. It is he who took me to see the Queen of France in prison. When he comes to take me on a journey, I see a glimmering light, then his luminous form appears before me like a flash from a lantern open in the dark. As we journey along in the darkness a faint light floats over our path. We pass over countries in distant regions, passing over roads, deserts, rivers and seas. We always travel on foot, my knees and feet ache. I often have to climb mountains. My guide is in front of me or at my side. I never see his feet move. " "He is silent, he makes few motions, sometimes he follows his replies by gestures of the hand or inclinations of the head. He is transparent. He is grave but very kind. His hair is smooth, flowing and shining. His head is uncovered and his long white robe, like a priest`s. I address him freely and never look him fully in the face. I never ask him many questions, as I am satisfied just being near him. I call to him to go to the Angel of the person for whom I am praying. I say,'Now I shall stay here, but do go to such or such place where thy help is need and then I see him go'. When I come to broad waters and know not how to cross, I find myself all at once on the other side and I look back in wonder." For chosen souls like Anne Catherine who receive mystical graces, our Lord often allows them to be attacked and assailed by the demons, so as to keep them from being prideful and to teach them complete trust in God. Anne Catherine knew all too well the attacks that spring forth from the devil. She once received blows to the face from a demon who appeared to her in the form of a great, black dog. Another time, the evil one tried to hurl her down a ladder. She even experienced icy-cold hands grabbing at her feet with the intention of throwing her to the ground. In 1813, Anne Catherine was subjected to intense ecclesiastical and medical evaluations lasting for five months. 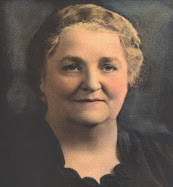 This is only natural, for anyone so highly favored with frequent states of ecstasy and hundreds of supernatural visions needs to be evaluated by the proper Church authorities; yet a Dr. William Wesener, upon examining her, said the following: "In our communications, I always found Sister Emmerich simple and natural, kind and gracious toward everyone" (March, 1813). Hierognosis is a gift which involves the ability to discern holy things from those which are not holy, including the following: whether or not a Host has been consecrated; if an object has or has not been blessed; the presence of a good or evil spirit; and the ability to find lost or hidden objects and holy relics. 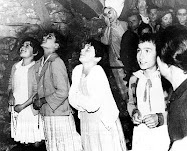 This charism is closely related to the gift of kardiognosis, and is very common among God's stigmatists; therefore, it is only fitting to believe that souls who are unusually holy themselves would be able to sense when a holy presence is in their midst. 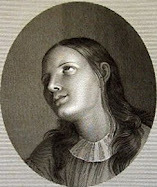 Anne Catherine Emmerich was unusually gifted in the discernment of holy things. Her remarkable ability to sense when an ordained priest was near (even when she did not see him), or the identification of relics or their whereabouts is well-documented. 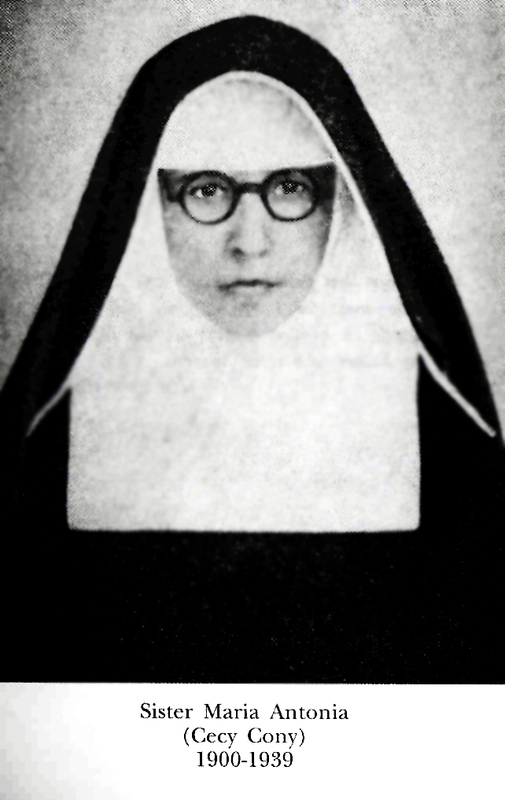 In 1891, Anne Catherine's writings of one of the visions she received of the House of the Virgin Mary (the house where the Virgin Mary allegedly lived in towards the end of Her life) led a group of Lazzarist priests from the city of Izmir, Turkey to set out to try to find the place Blessed Emmerich described in Ephesus, or, in the case of one of the priests, to demonstrate that Blessed Emmerich was wrong. The Lazzarist priests spent two hot summer days looking around Ephesus, finding nothing. When their water ran out, they asked some local women where they could find a well and were directed up the hill to the "monastery." There they found a spring next to the ruins of a little chapel half hidden by the trees in a scene almost exactly as Blessed Emmerich had described. 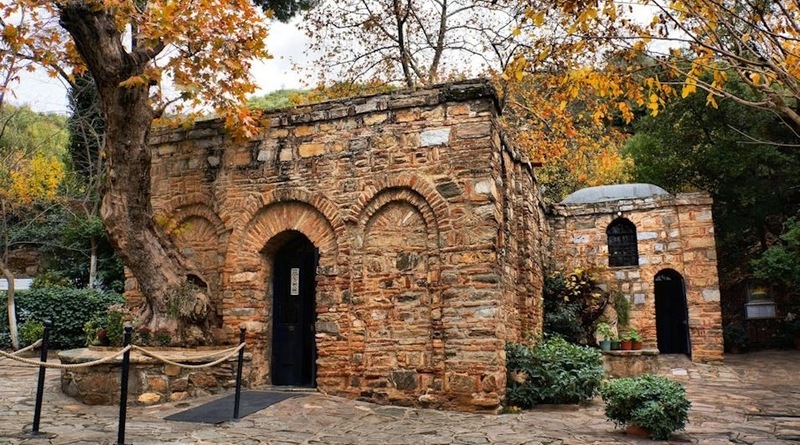 Afterwards, excavations led to the conclusion that the chapel was built no earlier than the seventh century, but that part of it was erected on the foundation of a much older building, one constructed with materials that the archaeologists said were similar to those used in the first centuries. Anne Catherine Emmerich died at 8:30pm on February 9, 1824. 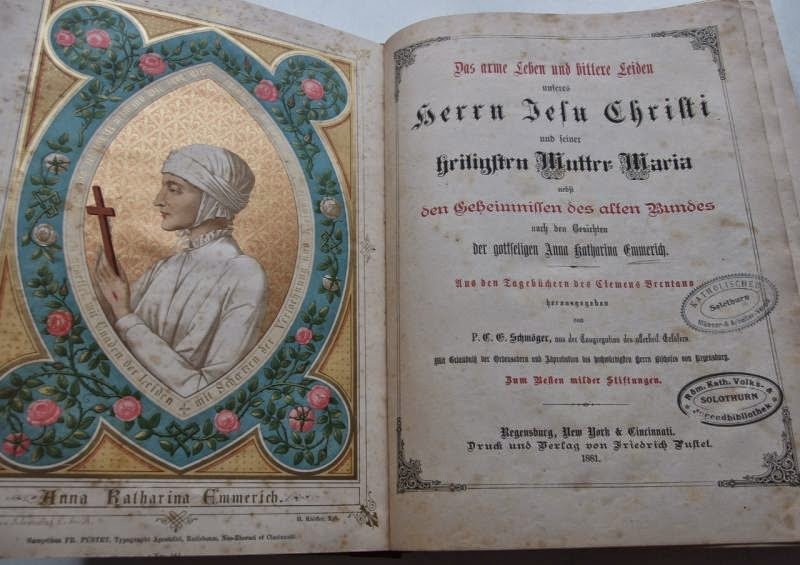 It was only during the last five years of her life that she began to write down the history of her visions which have become a treasury for many of the faithful. 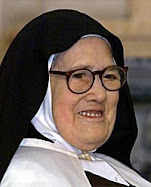 She was Beatified on October 3, 2004 by Pope John Paul II. 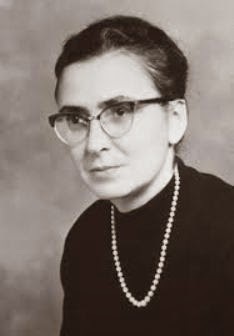 Blessed Anne Catherine Emmerich, pray for us! Blessed Anne Catherine, pray for us. Its been four years since i first found this great website. I find this site fully Catholic and i do recommend this site to many of my friends. 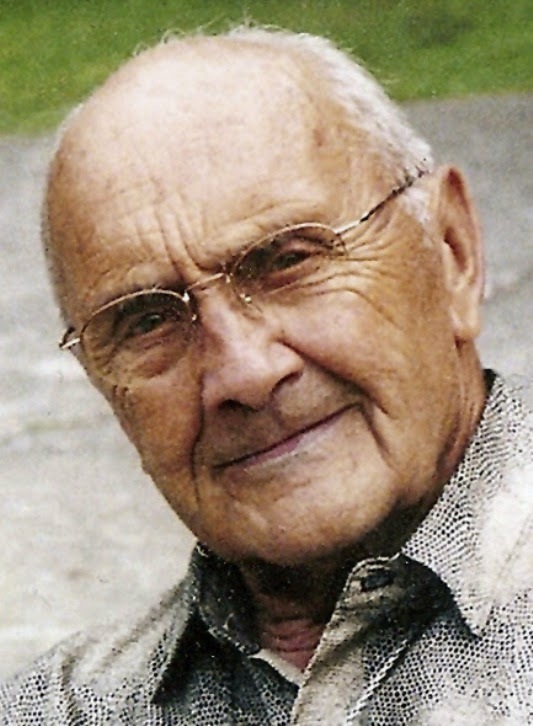 You are doing a wonderful service to the faithful and i pray that you too become a saint one day. The research you do for authentic information , is impeccable. May the good Lord bless you and family abundantly and keep the good work . 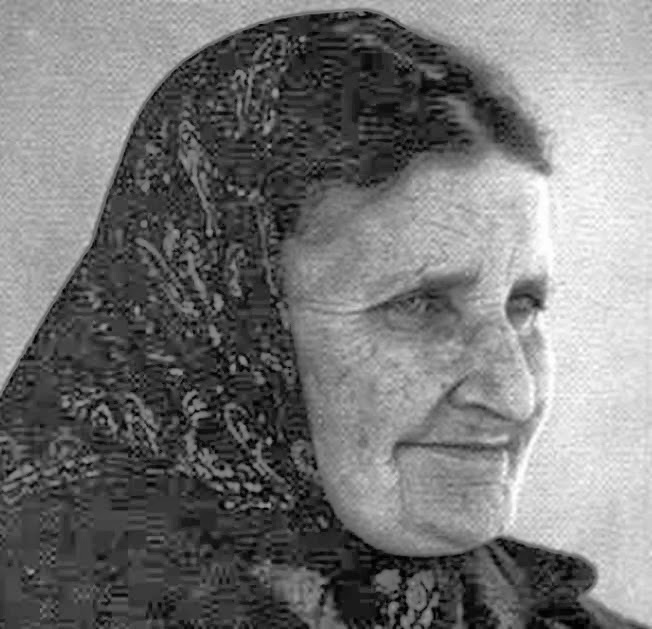 I have a request: Could you please publish a research article on the supernatural factor in the writings of Maria Valtorta? Thank you Rajoy for your kind comments--I am really happy to hear that you have enjoyed this website, and that you have benefitted spiritually from it, thanks be to God. And thank you also for your suggestion. Thank you. I really enjoyed reading this wonderfully informative article on this great Saint. Keep up this great work. "The Church is the only one, the Roman Catholic! 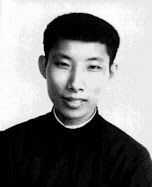 And if there were left upon earth but one Catholic, he would be the one, universal Church, the Catholic Church, the Church of Jesus Christ against which the gates of Hell shall never prevail." "A false church, and wicked men scheming against the Catholic Church and doing much harm–both in her own time and in the future. And actually saw in a vision this, the enemies of the Church tearing it down and trying to build a new one on strictly human plans–but none of the saints would lend a hand. Later, this church of men is destroyed and the saints of God join in to rebuild the true Church of God, which becomes more glorious than ever before." The two popes Blessed Anne Catherine Emmerich was talking about were Pope Boniface IV (Pope from 608-615) and Pope Pius VII (Pope from 1800-1823). See p.277-282 "Life of Anne Catherine Emmerich"
When Maria Valtorta once read a book of Anne Catharine Emmerich, she afterwards said: "What a disaster! 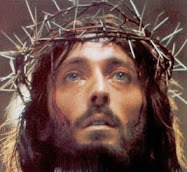 I remain disgusted and bewildered, because except in a few points (5 or 6), I do not sense Jesus. 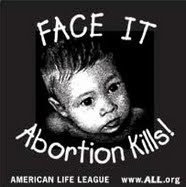 While I close the book in disgust, in my heart I ask myself: "But has this woman really seen? and seen the divine? 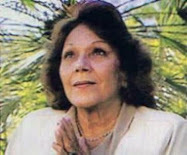 Or has she been deceived by Satan, or is a fraud?" Jesus appears to me and dictates to me about Emmerich, saying: "she was a true seer illumined by God, but men altered the truth of her visions, spoiling everything...,"
"See what damage the work of man can do to a revelation?" Even if he works with the intention of honoring Me more, he spoils the gift of God. Every infidelity in things of revelation, ruins them, because it is a wound introduced into the truth, which remains soiled by it. Therefore I do not want [even] a syllable changed of what you have written. You were faithful in your writing. Let the others be faithful in leaving your writing intact. The work of Brentano is thus detached from the Gospels, from the truth. Only in those points taken just as they are described in the Gospels, is there truth in this book The rest is a magnificent painting by a very bad retoucher." Glorious Saint Anne Katherine Emmerich, please pray for me to be healed of HIV..I want to test negative to HIV..I have seen Mother Mary appear to me and i have seen Angels appearance in my dreams but I really don't know what they want me to do. I want to be able to declare words and they become established.. I want to understand my dreams. I need your help St Anne Katherine Emmerich.. I want and need you to be my Special Saint. I want to always feel your presence with me and by me always. Be my special saint and friend St Anne Katherine Emmerich now and always in Jesus Name, Amen!